2. 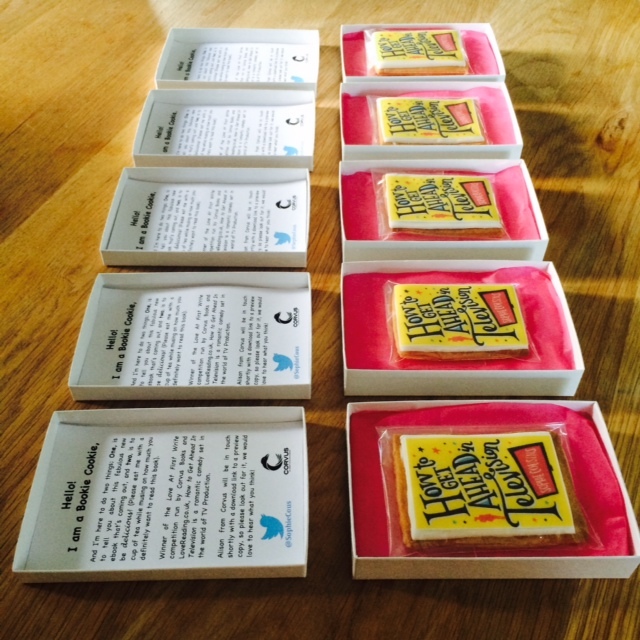 Bake a delicious biscuit and decorate with a print of your book’s cover (printed onto icing in yummy edible ink). 3. 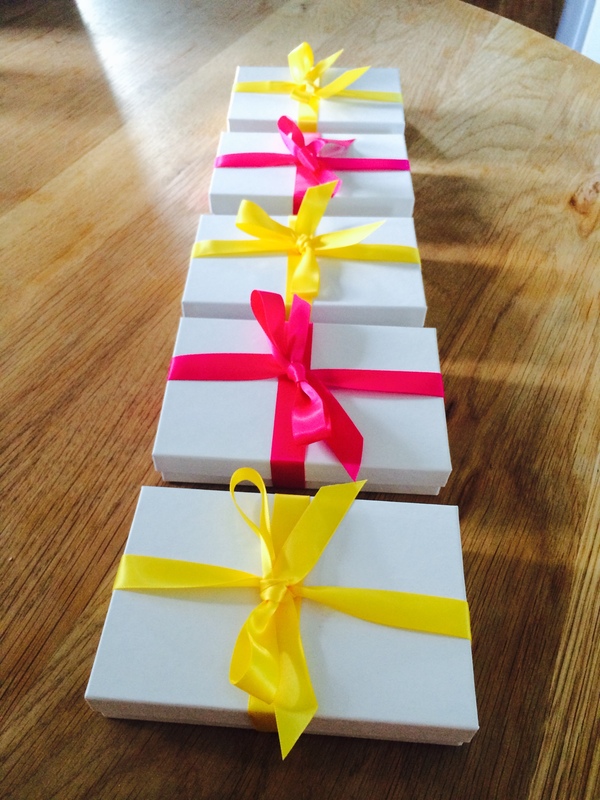 Put into sweet little boxes along with a little bit of information about your book. 5. 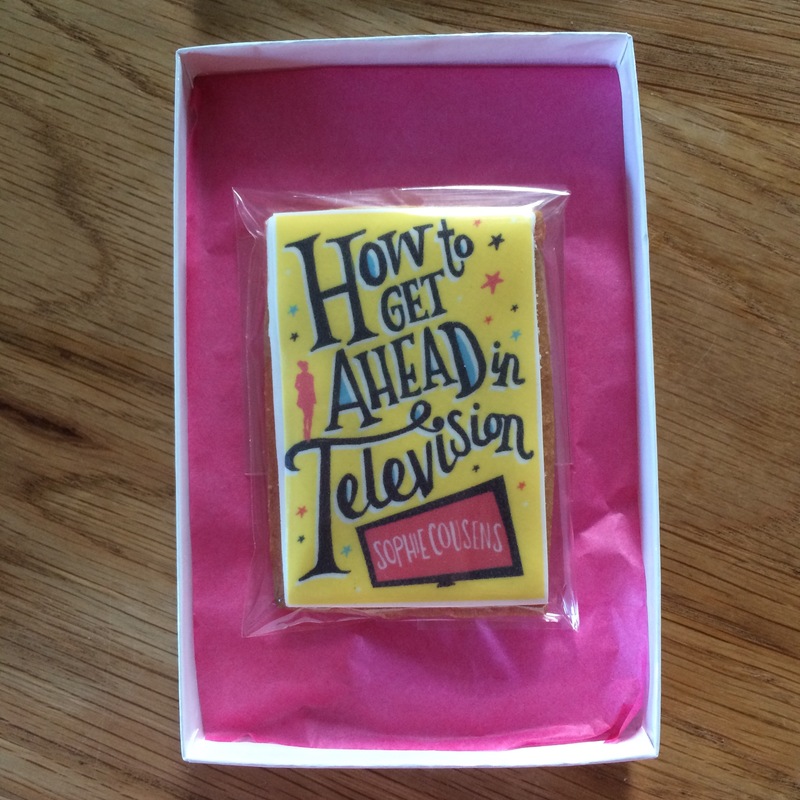 Send in the post to people who a) probably like biscuits, and b) you would love to read your book, and you think might encourage other people to read your book. It’s fine to ‘sample’ each batch, you know, just to make sure they are all equally delicious. If you feel a bit sick by the end of it, this has nothing to do with the quality of the Bookie Cookies, it’s because it’s eleven thirty at night and you just ate twelve under the pretext of them being ‘asymmetrical’…. Not everyone you send a Bookie Cookie to will read your book. Some people will just eat the biscuit and then move on with their lives – this is fine – you’ve still made someone’s day that bit more biscuity and gained yourself some Biscuit Karma in the process. It takes quite a long time to make a batch of Bookie Cookies, time which may well have been better spent writing another book. Don’t dwell on this – baking is the most delicious form of procrastination.